For healthy women, regular exercise during pregnancy has many benefits.1 If you’ve discussed an exercise program with your doctor and understand how it may affect you and your growing baby, you may also be wondering about your ideal heart rate targets before, during and after exercise. 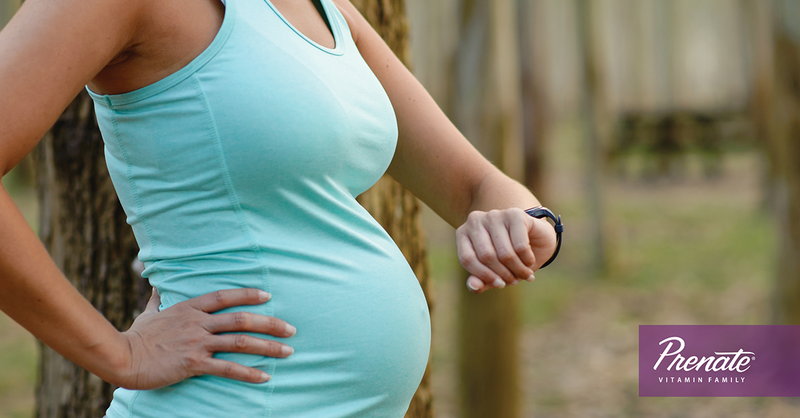 Should pregnant women be concerned about heart rate while exercising? According to the Mayo Clinic, there’s no need to be overly concerned with your heart rate during exercise sessions while you are pregnant.2 You may have heard that pregnant women shouldn’t exercise to the point that their heart rate exceeds 140 beats per minute. However, that recommendation is outdated. According to ACOG, healthy pregnant women who aren’t experiencing complications and aren’t in high-risk groups are safe to continue their normal exercise routines or even begin new ones.1 In healthy women, exercise is not likely to contribute to early miscarriage, early delivery or low birth weight.1 However, it is crucial to discuss your plans for exercise with your health care provider. If you don’t feel comfortable relying on the speaking test while exercising, a simple heart rate monitor can help you understand the relationship between exertion and heart rate. If you want specific recommendations about heart rate while exercising, it’s best to get those numbers directly from your health care team. If you take certain prescription medications, your heart rate may vary from this range.4 Your doctor can speak with you about how medications may affect your resting and target heart rate. Since every woman’s pregnancy and health situation is different, having one or more of these conditions doesn’t automatically mean you won’t be able to exercise while pregnant. Work with your doctor to create an approved and safe plan to help you stay active and allow you to take advantage of all the proven benefits of exercising while pregnant. Doctors recommend that pregnant women avoid exercising outside during hot or humid weather. It’s best to stay in a temperature-controlled environment so you don’t get too hot, especially during your first trimester. Remember to wear sunscreen if you decide to exercise outside, regardless of the time of year. For many pregnant women, lack of energy and fatigue make exercise difficult. For this reason and others, it’s important to support your overall health and nutritional needs with a balanced diet. A prescription prenatal vitamin may also help with lack of energy. Talk to your doctor about how a supplement from the Prenate® family of vitamins can help you maintain the energy levels you need to make exercise a regular part of your self-care routine throughout pregnancy and beyond. REFERENCES: 1. Exercise During Pregnancy. American College of Obstetricians & Gynecologists. ACOG Website. https://www.acog.org/Patients/FAQs/Exercise-During-Pregnancy. Reviewed 2018. Accessed January 20, 2019. 2. 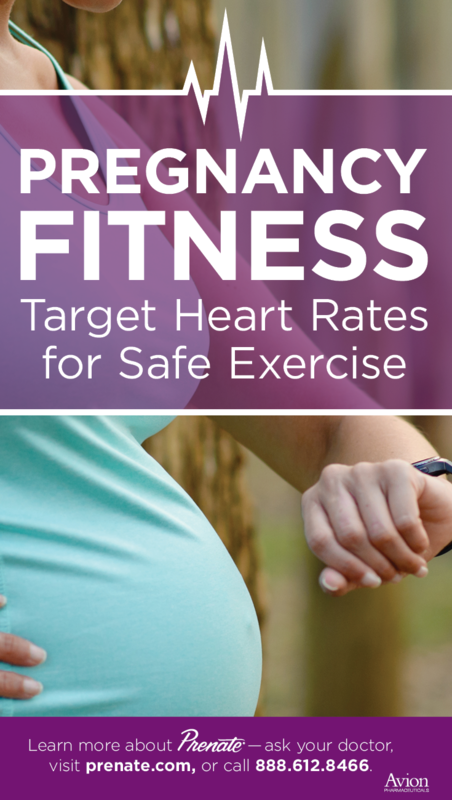 Exercise during pregnancy: Is heart rate a concern? (2017, July 15). Retrieved January 23, 2019, from https://www.mayoclinic.org/healthy-lifestyle/pregnancy-week-by-week/expert-answers/exercise-during-pregnancy/faq-20058359. 3. Know Your Target Heart Rates for Exercise, Losing Weight and Health. (n.d.). American Heart Association Website. Retrieved from https://www.heart.org/en/healthy-living/fitness/fitness-basics/target-heart-rates. 4. All About Heart Rate (Pulse). https://www.heart.org/en/health-topics/high-blood-pressure/the-facts-about-high-blood-pressure/all-about-heart-rate-pulse. Published 2019. Accessed December 20, 2018.